Tip O’Neill’s observation that all politics is local can also be applied to history. History is the sum of individual decisions, actions, and experiences. It is for this reason that it is so important that we record our individual and family histories for the benefit of future generations. In Huntington, we are lucky that one local woman has done just that. Helen Tenuto Guarino, whose mother came to Huntington from Italy as a young child at the dawn of the twentieth century, wrote down her family’s history before she passed away in 2010. Her recollections were intended for her children and grandchildren so that they would know who their ancestors were. After she died, her daughter assumed the task of finishing the book and realized it might appeal to a wider readership, so she had it professionally printed. The author is seated on the far right. The 129 page volume touches on the dramatic changes Huntington experienced from the beginning of the twentieth century until the turn of the Millennium. It is a fascinating transformation seen through the experiences of one family. It is the story of an immigrant who came to work in one of Huntington’s major industries of the nineteenth century as that industry, brick making, was fading from the scene. He then farmed land that is now a suburban housing development. His children served the country in war time and established local companies, which literally helped to build the Huntington of today. It is the description of farm life in the not too distance past that may be most meaningful. You may never look at dandelions the same way again. 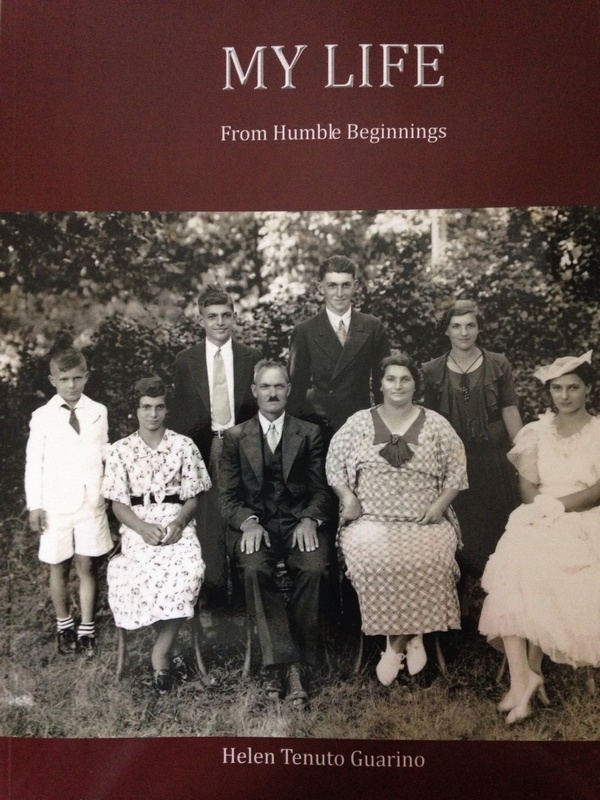 To order a copy of My Life From Humble Beginnings, by Helen Tenuto Guarino send an email to Anne Marie Guarino at amtguarino@verizon.net. The book costs $25.00 plus $5.95 for shipping.